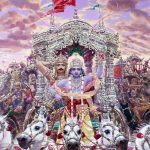 “If someone takes to Krishna consciousness, even though he may not follow the prescribed duties in the shastras or execute the devotional service properly, and even though he may fall down from the standard, there is no loss or evil for him. But if he carries out all the injunctions for purification in the shastras, what does it avail him if he is not Krishna conscious?” So the purificatory process is necessary for reaching this point of Krishna consciousness. Therefore, sannyasa, or any purificatory process, is to help reach the ultimate goal of becoming Krishna conscious, without which everything is considered a failure. Rather, the person of impure heart who gives up scriptural activities becomes engrossed in material actions. That is explained in this verse. The renunciation of actions factually means not being attached to them. It does not mean actually giving them up, as that is impossible. Nobody neither a wise man or a fool under any circumstances can refrain from actions for a moment. 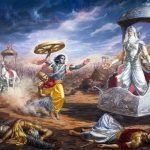 The reason Lord Krishna is stating is that all are compelled to act forced by one’s likes and dislikes influenced by one’s attachments and aversions arising out of prakriti, material nature and designated by one’s past life activities. Actions are spoken of as two-fold in the Paingi scripture. Actions that are dependent upon a cause and and actions which are independent of any cause. The actions that are dependent upon a cause are due to the influence of prakriti, material nature. Independent actions are only manifesting from the Supreme Lord. Therefore the words karyate he avasah means to perform activities fully dependent, this dependence is on the Supreme Lord Krishna. The scriptures also further clarify that ah means the all pervasive Brahman. It should not be speculated that one is entitled to the fruits of oneâ€™s actions simply because it is impossibe to fully renounce all actions. 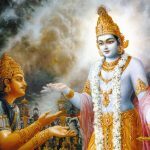 To empasise this point Lord Krishna states vimudh-atma meaning one ignorant of the soul. A fool or a wise person can appear inactive without engaging in worldly affairs or Vedic activities. 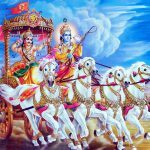 So the sense here is that prakriti, material nature is propelling one to act based on the effects of oneâ€™s past actions which are attached to the root of the physical and subtle body. Therefore the conclusion is that one should first purify themselves by performing karma yoga which is actions without desires as prescribed in the Vedas which destroys sins which hinder spiritual development before embarking on the path of jnana yoga the cultivation of spiritual knowledge. 3.4-5 Na karmanam etc Na hi etc. 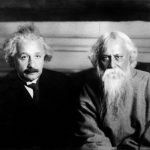 Knowledge, deserted by action, does not exist; and the action, combined with dexterity does not exist, [if it is] deserted by knowledge. Therefore knowledge and action constitute one and the same thing. Hence it has been delclared : ‘Knowledge is not deserted by action and action is not deserted by knowledge. [Hence] a teacher who is well accomplished in knowledge and action, is the cutter of the fetters of the fettered’. Therefore the action that is included within the knowledge cannot be avoided. For, the body, the organ of speech and the mind are, by nature, in a perpetual motion; and hence an individual, being simply under the control of other than himself, necessarily performs one action or the other. For, the body, the speech-organ and the mind are of the nature of throbing. na — nor; hi — certainly; kaścit — anyone; kṣaṇam — a moment; api — also; jātu — at any time; tiṣṭhati — remains; akarma-kṛt — without doing something; kāryate — is forced to do; hi — certainly; avaśaḥ — helplessly; karma — work; sarvaḥ — all; prakṛti-jaiḥ — born of the modes of material nature; guṇaiḥ — by the qualities.